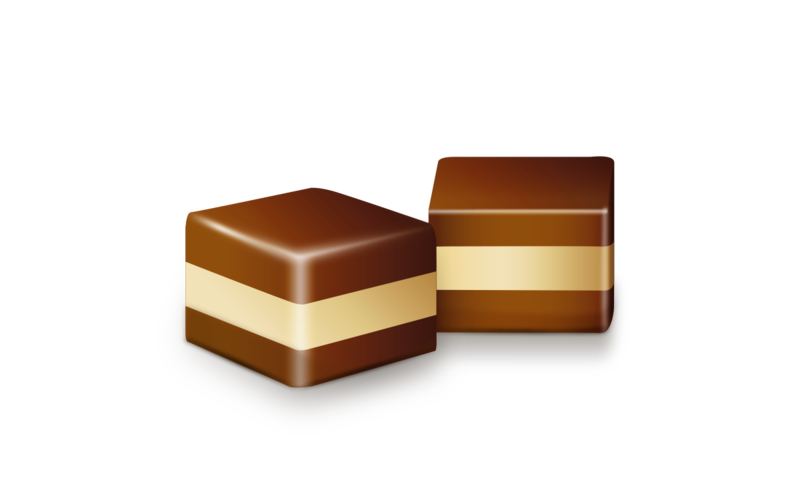 40% Milk chocolate: sugar, cocoa butter, whole MILK powder, cocoa paste, WHEY powder, anhydrous MILK fat, emulsifier: SOY lecithin (E-322) and vanilla flavor. 40% White chocolate: sugar, cocoa butter, skimmed MILK powder, WHEY powder, anhydrous MILK fat, emulsifiers: SOY lecithin (E-322) and PGPR E-476 and vanilla flavor. 20% HAZELNUT paste. Cocoa min: 30% Milk chocolate and 26% White chocolate.